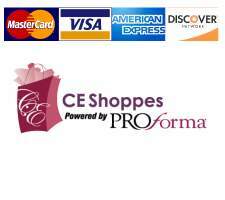 CEShoppes® has the gift solution that everyone wants! 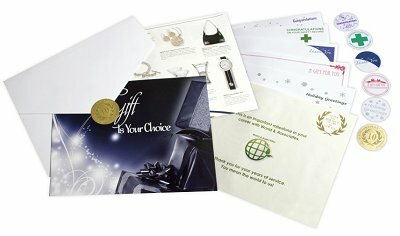 These incentive programs offer Gift Booklets and Award Cards, to complete your service award programs. CEShoppes provide flexible solutions targeted to motivate employees, inspire personal achievement and reward excellence. Centered around a variety of brand name lifestyle merchandise rewards the CEShoppes® awards and incentive programs can be customized to meet any company�s needs. From You: It's easy to reward and recognize with the Gift of Choice. You choose how much you want to spend, and your recipients select their own gifts. Looking for a one-time gift that rewards anything from years of service to customer loyalty? Let recipients select the gift of their choice from the price category you assign. CEShoppes® has both printed and online program options or you can combine them for a program that utilizes both! Better than monetary based gift cards, award cards allow recipients to select the gift of their choice while also allowing reporting on which cards have been redeemed and what gifts have been selected. Let recipients select the gift of their choice this holiday season! Create a traditional holiday gift program or take your program online! With the variety of programs CEShoppes® has to offer there�s something to please everyone this holiday season! CEShoppes® factory expertise has been providing companies with the gift of choice for over 50 years! With our vast client experience, our team is ready to help any organization achieve its objectives and goals. Whether you are setting up a program for employees, clients, or partnering business reps, CEShoppes® has a program that will fit your needs.